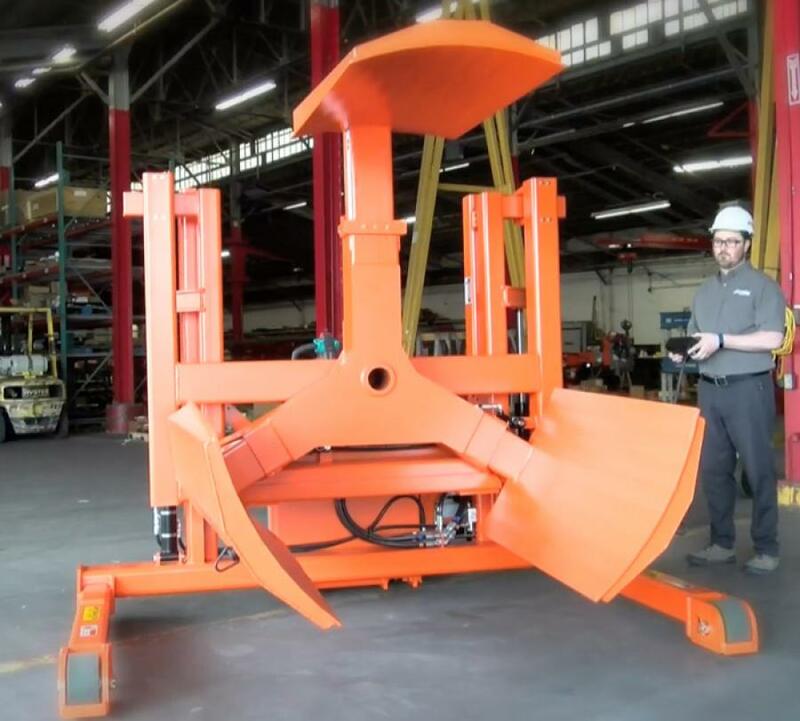 Using an integrated pallet truck for familiar operations and excellent maneuverability, the standard unit can handle steel compaction wheels with diameters of 55 to 79 in. The new 6500 Series Wheel Handler from LiftWise is designed for any operation that needs a safe method for transporting and changing large tires. Using an integrated pallet truck for familiar operations and excellent maneuverability, the standard unit can handle steel compaction wheels with diameters of 55 to 79 in. It can be raised or lowered 20 in. and has a maximum capacity of 6,500 lbs. One-person operation is made possible through the unique tethered control. It allows the operator to stand in the best vantage point for dialing in the proper position of the wheel for mounting. Wheels or tires can be lifted, rotated 38 degrees in both directions and side shifted three in. left or right, all from the convenience of the hand-held control. Furthermore, the control adjusts the upper and lower jaws to accommodate different wheel sizes. It includes an integrated safety switch and is magnetic for easy attachment anywhere on the Wheel Handler. LiftWise is the material handling division of Diversified Products. The company offers a wide range of products for material handling in assembly, welding and equipment servicing, as well as other various lifting solutions. For more information, contact Diversified Products, 1001 Webster Avenue, Waco, TX 76706, call 254-757-1177, fax 254-757-1188, or visit www.lift-wise.com.